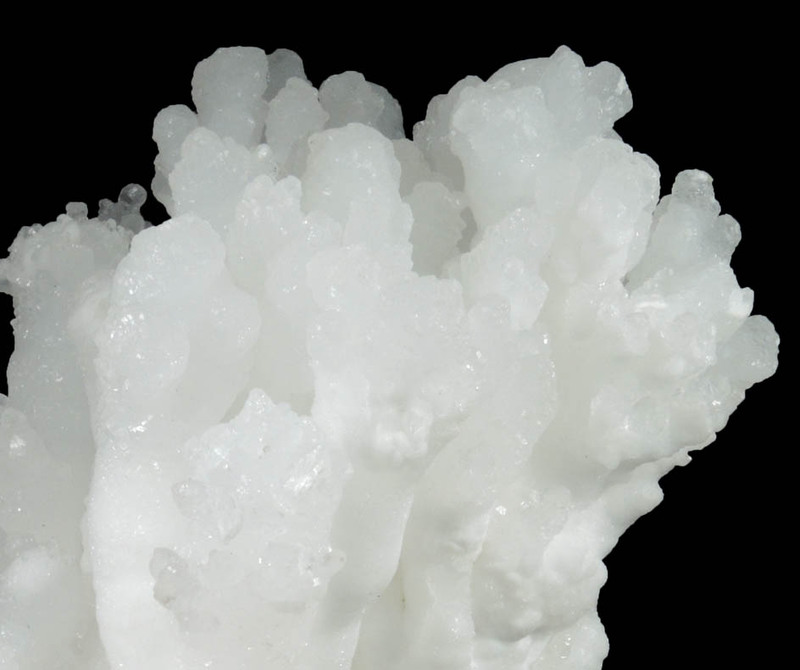 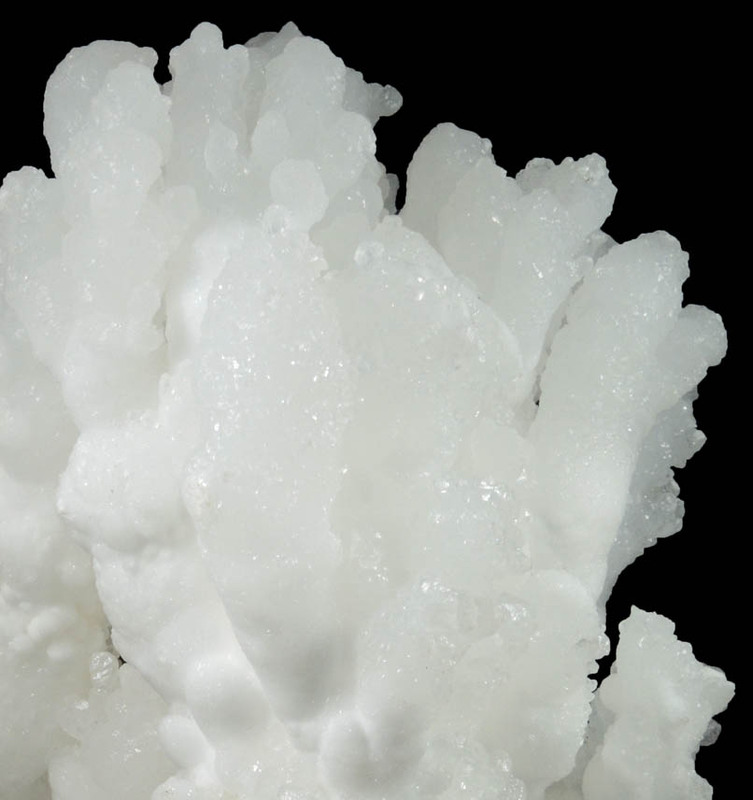 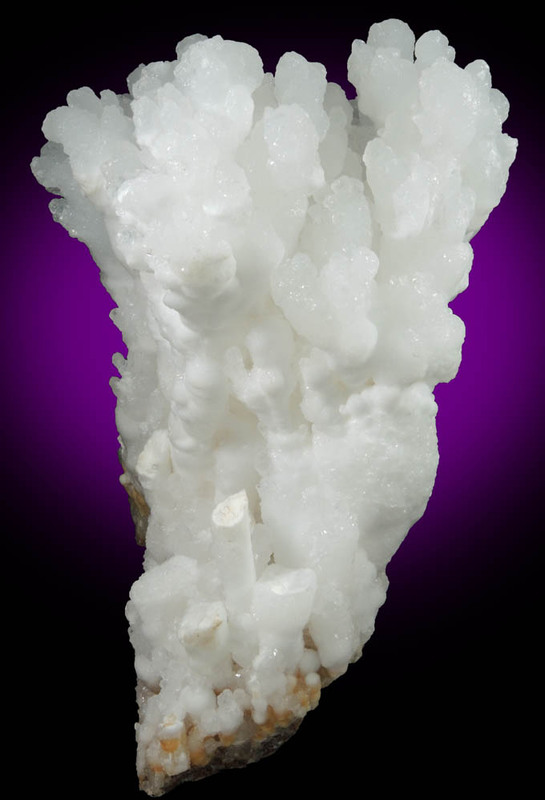 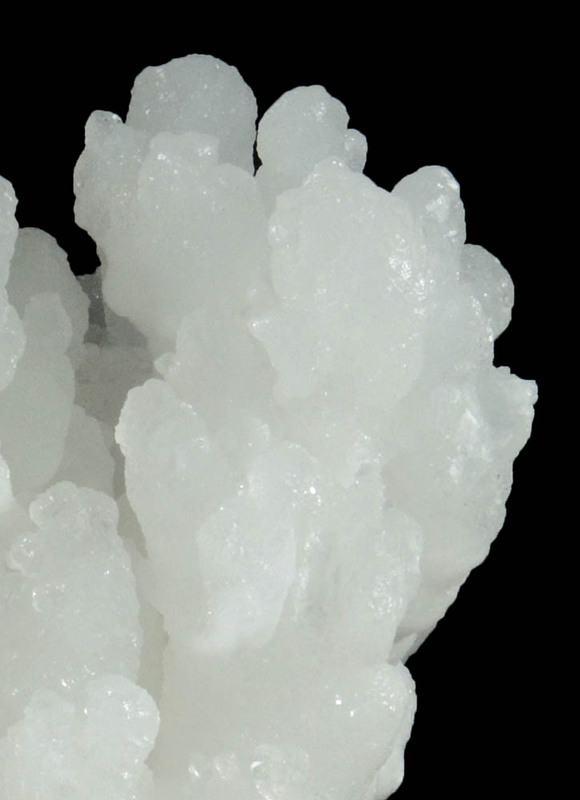 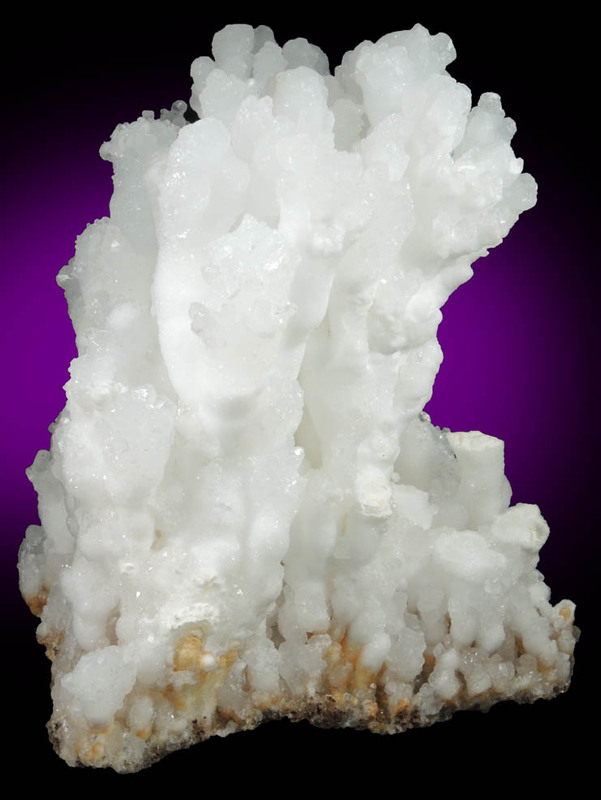 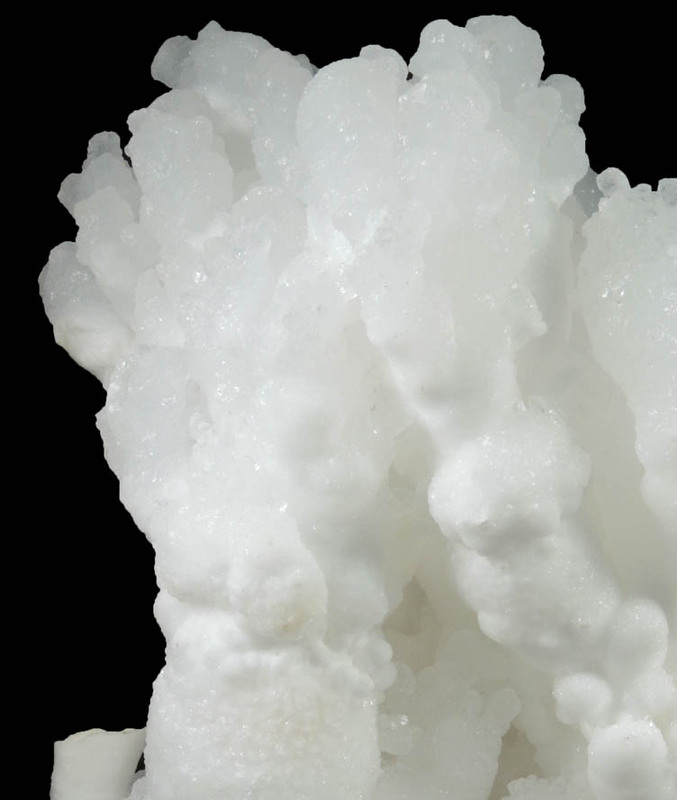 Description: Translucent white aragonite in elongated branching plumose formations to 90 mm long in a cluster that stands upright without support. 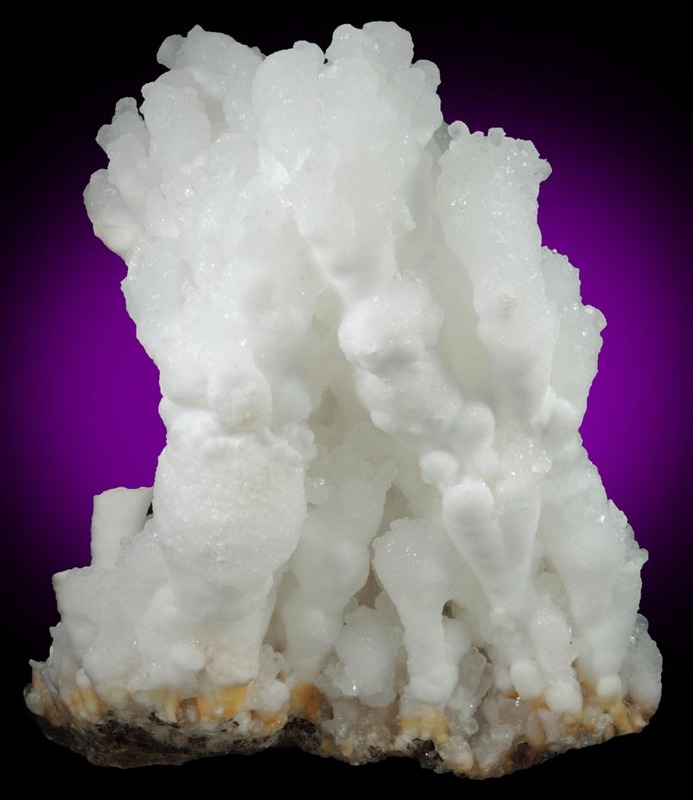 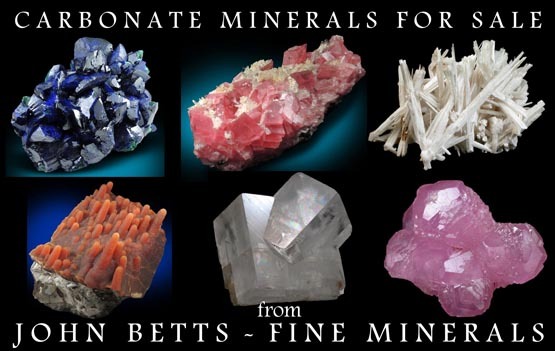 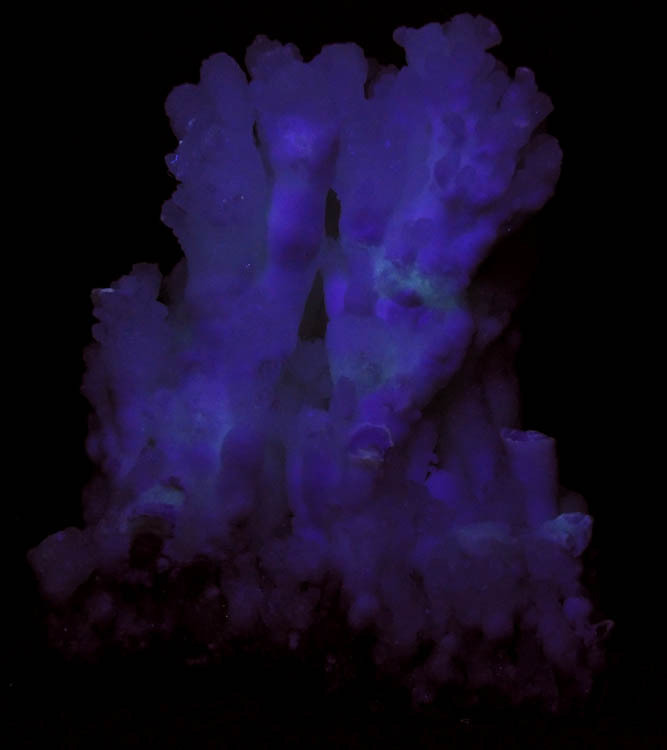 All surfaces are covered with small aragonite crystal faces. 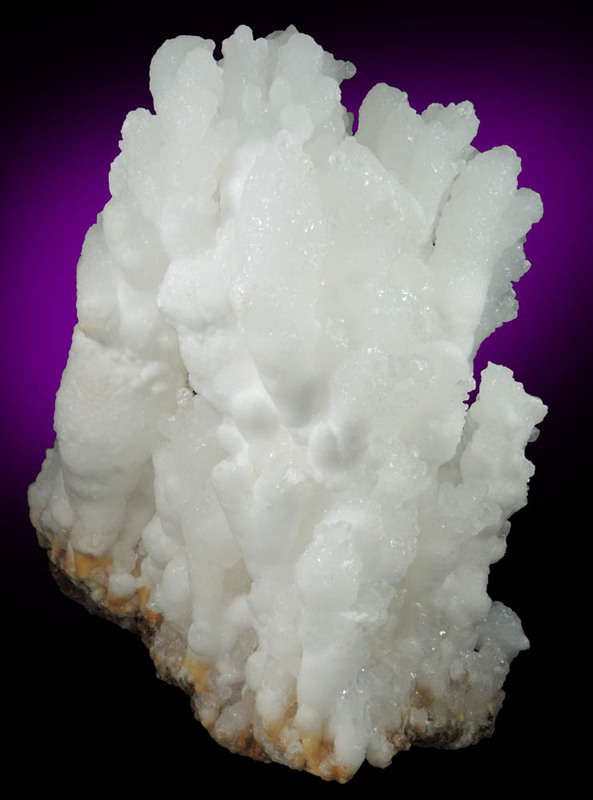 Some of the aragonite formations are truncated.